PriceMole is now available on Shopify to help track, manage and match your competition. By using our competitor intelligence software you will be able to track all your competitors prices and products automatically online. In the last few weeks, we have been working hard to add our newest features to the Beta. It is now possible to generate historical data and display it in graphics that will give you a general idea about your pricing history, and changes occurred for your product and your competition. With all these data, you can take more accurate decision and set your pricing strategy ahead of your competitors. Additionally you can now receive your price change alerts and price updates via email instead of just notifications on your dashboard. In your account settings, you can choose the types of email notifications you receive as well as personalize these notifications. You can define when to send a notification either instant updates or a daily report concluding all the changes that occurred. Emails will allow you to receive updates anywhere and anytime a price change occurs, be it a change in competitor pricing or a change in your own price made by the moles! As of next week you can search not only by product name, but also by tags you created for each product within your Shopify store, allowing you to filter by collection and/or product types. This will create easier access to individual as well as groups of products. 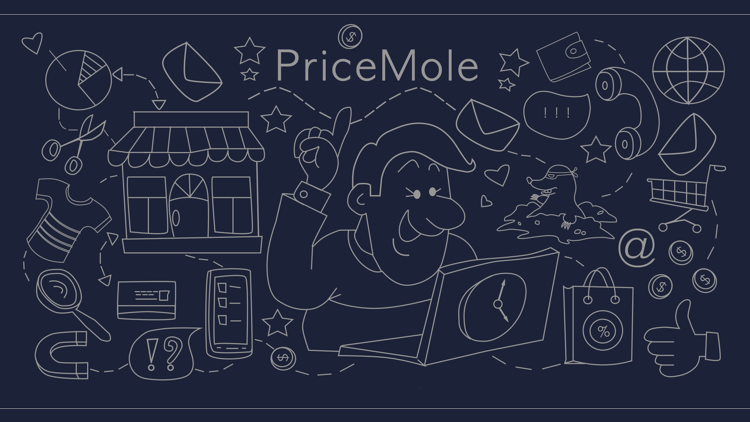 If you haven’t already, we highly recommend checking out PriceMole on Shopify,which includes competitor price tracking, automated price strategies, pricing history, instant notifications and many other handy new features. We are focused on delivering advanced pricing strategies, and the ability to track your competitors stock within the next few weeks.